We all want to represent our geek pride when we go to cons. 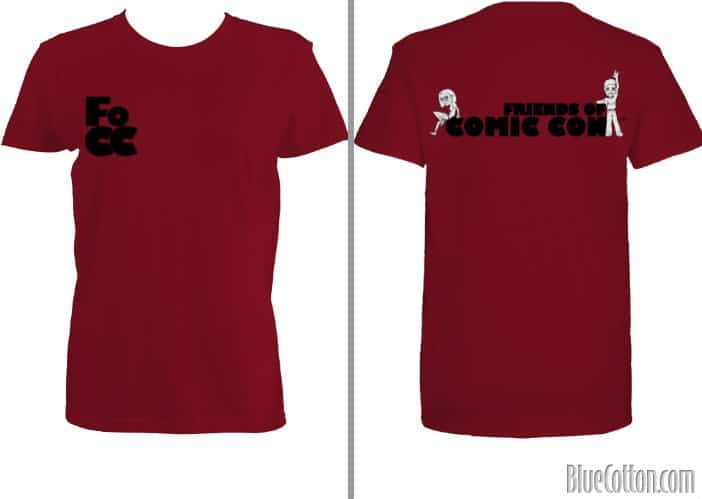 Show yours by wearing Friends of Comic Con attire! Friends of Comic Con now offers exclusive logo T-shirts and hoodies, made from quality cotton. Their crimson color is sure to get you noticed! What better way to find other great people from our online community than by wearing our official attire? Shirts are available in men’s and women’s styles, sizes S to 5XL. 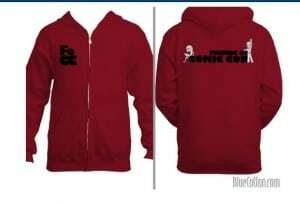 Unisex hoodies are available in sizes S to 5XL. 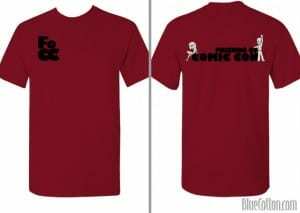 What if you’re wearing a costume or other geek pride attire? Then, the Friends of Comic Con official lanyard is for you! 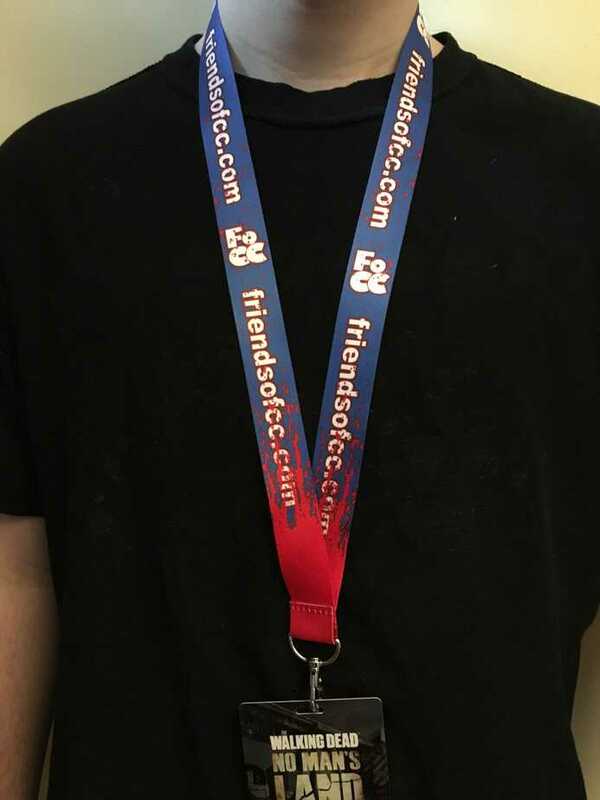 Colored in bright blue and dipped in ‘blood,’ this lanyard compliments our official shirts or stands on its own to mark you as a member of the most comprehensive comic convention site online. 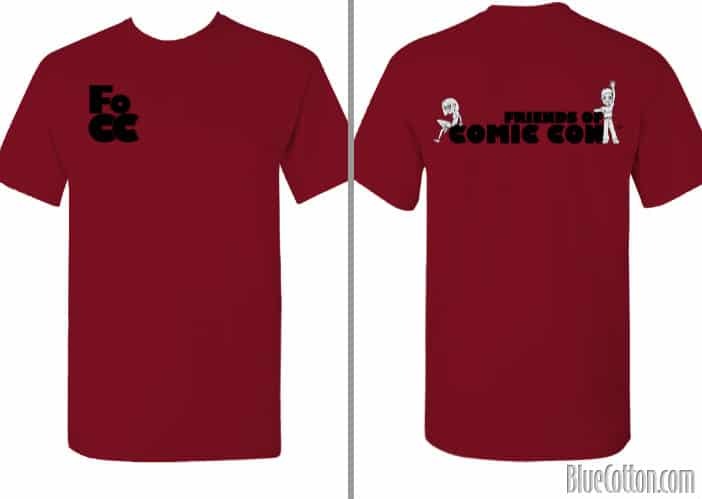 Be sure to check out our store and purchase your Friends of Comic Con official gear now! ← Cup o’ Tea: Funko! !